03 Sep 2013 in action boy appeal contemporary setting young adult books ~ read. Synopsis: When tailback Marty Wiggins suddenly drops dead in the middle of a high school football game, it’s the beginning of a strange series of events that will disrupt quiet Pemberwick Island just at the end of the tourist season. The backup tailback, freshman Tucker Pierce, and his best friend Quinn are among the only witnesses to a strange shadow that explodes off the coast of the island. 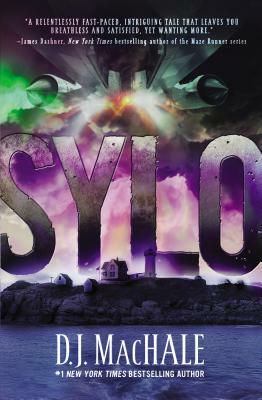 Then the island is invaded by a mysterious U.S. military unit known only as SYLO, who take control of the island and quarantine it from the mainland, to stop the spread of the mysterious virus. But Tucker and Quinn, whose parents are doctors at the island’s hospital, suspect that SYLO isn’t telling the whole story. Before long the two friends, along with another island teen, Tori Sleeper, are caught up in events. As the situation on the island spirals from bad to worse, the three teens find themselves on the run, carriers of information that they can’t share with anyone. But what can three teens hope to do against the might of an occupying military force? Tucker Pierce. Tucker is not native to Pemberwick, having moved there several years earlier. Tucker is an average guy: his grades are not exceptional, and neither is his football playing. He likes life on Pemberwick Island, and has no plans to leave it when he grows up, unlike his friend Quinn. Sometimes he acts too old to be a high school freshman, although that’s not completely unbelievable for an only child who is close to his parents. Quinn Carr. Quinn is smart and inquisitive. He and Tucker are opposites in many ways. Quinn can’t wait to leave the island and do something important. Tori Sleeper. Tori is badass. She’s the daughter of a lobsterman, and helps her father on his boat. She’s fearless and competent, whether she’s piloting a boat or defending her home. She’s also a bit standoffish, and doesn’t suffer fools gladly, but as she and Tucker get to know each other, they become friends. Pemberwick Island is a fictional place, but it’s based on Martha’s Vinyard. Island life and the island residents are portrayed vividly, giving the book a strong sense of place. SYLO is a good read: well-paced and exciting without being frenetic. It builds slowly; MacHale takes time to develop the characters and setting as the suspense and mystery grows, but by halfway through the book you’ll be turning pages at a rapid rate. Tucker is a likeable character, and it’s refreshing that he’s pretty average. When he has the chance to take over as the team’s tailback after Marty dies, it could have been a wish fulfillment situation, where Tucker saves the day, but instead his playing is bad enough that he gets considerable ridicule from the town. Tori is awesome, and easily the most interesting character in the book. The book ends on a cliffhanger; not only are not all questions answered, but more are raised. Some people will enjoy the cliffhanger ending, but others may be annoyed by it. With a first person male narrator and a story that drives along pretty well, this is a book that should have strong appeal to many boys. However, it also has a strong female secondary character and other elements that give it plenty of girl appeal as well. FTC required disclosure: Review copy given by the publisher at BookExpo America. The bookstore links above are affiliate links, and I earn a very small percentage of any sales made through the links. Neither of these things influenced my review.